Pumpkins on sale. Photo by Danielle Scott. Some people deeply believe in the motto of “bigger is better.” For those people in the American Northwest, there is the Pacific Giant Vegetable Growers association. They bill themselves as “Growers of Obscenely Large Vegetables”… and that is exactly what they are. There’s only one problem with their hobby. After you’ve grown a 1,700 pound squash, what do you do with it? Welcome to the annual Giant Pumpkin Regatta held every October in Tualatin, Oregon. Started in 2004, it features costumed participants sitting inside immense, hollowed-out pumpkins and paddling around the lake in a series of odd races. If this seems a bit odd… it is. But not so strange that it hasn’t been repeated on the East Coast. The Damariscotta Pumpkin Regatta started in 2007, giving Maine residents a chance to watch people race in giant pumpkins without needing to travel across the country. There, however, people are encouraged to participate in large pumpkins of various sizes, not merely the behemoths provided by growers of obscenely large vegetables. 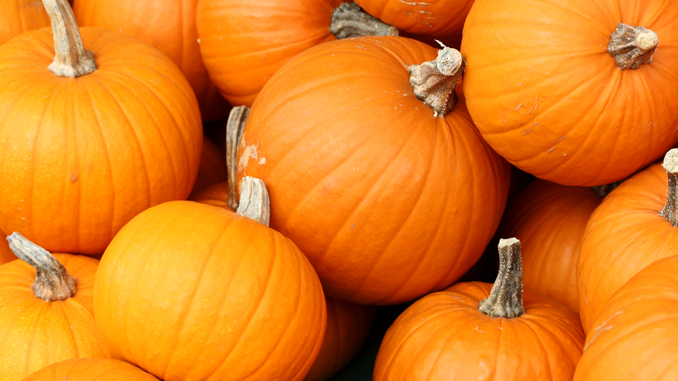 And, Maine being Maine, they don’t simply have paddles… they have pumpkin motorboats. Question of the night: What’s your favorite seafood?